Flickr co-founder Caterina Fake has announced her new app Pinwheel, which even she admits could be thought of as Flickr for places. The app is now in private beta and Fake decries it as “a way to find and leave notes all around the world.” Between now and its official launch, the Pinwheel team will be working on filling out the community so users aren’t participating in an empty app post-beta phase. While Pinwheel is still trying to flush out its platform, the concept sounds fairly predictable for its genre. 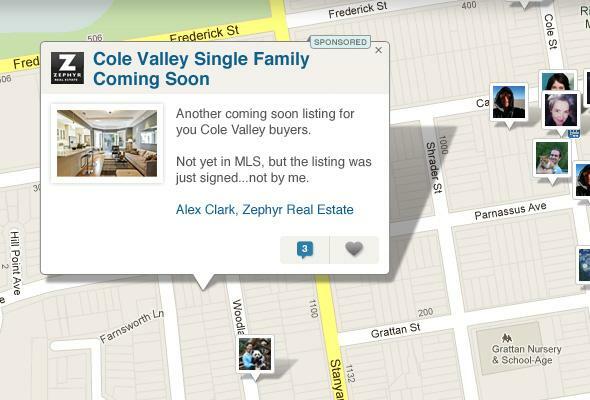 It’s a map-based UI that surfaces photos with notes from their photographers, and has a mobile and Web presence. This content can be private, public, or shared with certain other users. The way Fake talks about it sort of reminds us of Capsule, a photo-heavy app that can act like a container for memories or events you share with certain people or groups of people. However while their focuses sound similar, the way they function sounds fairly different. A big part of Pinwheel will be the geo-social element, showing where in the world users have dropped their notes. The app could have some potential practical purposes even though it seems whimsical by nature. Photo-sharing platforms themselves are generally uninvolved and don’t apply elsewhere: users take pictures, upload them, and maybe push them out to other social outlets like Facebook or Twitter. But Pinwheel wants to leverage geography to create a visual, categorical map to be shared with everyone or no one and every combination in between. We do wonder how photo-focused the app is, however. It sounds like it’s trying to do a lot, and we’re wondering if it’s really built around creating beautiful images with the help of filters, cropping, a contrast toggle, or any other Camera+ type elements. It’s an ambitious idea, and seems like it’s still trying to zero in on the action-meets-geography-meets-social genre, something which we’ve seen a lot of experimentation in recently. We’ll have more details as soon as we get some hands-on time with Pinwheel.